I’m training for the same 10k that I ran last year, and with the warmer weather I’m finding myself with a bit of a wardrobe dilemma. You see, my old t-shirt collection that served me so well in my college gym days just isn’t doing it for me anymore. When I went home last week I was able to hit up Marshalls and score one top, but I feel like once summer hits that’s not going to cut it. I have a hard time pulling the trigger on spending money on workout clothes, but after being kind of uncomfortable in my gross old t-shirts on my long runs I’m inclined to feel like it would be worth it. Are you a runner? 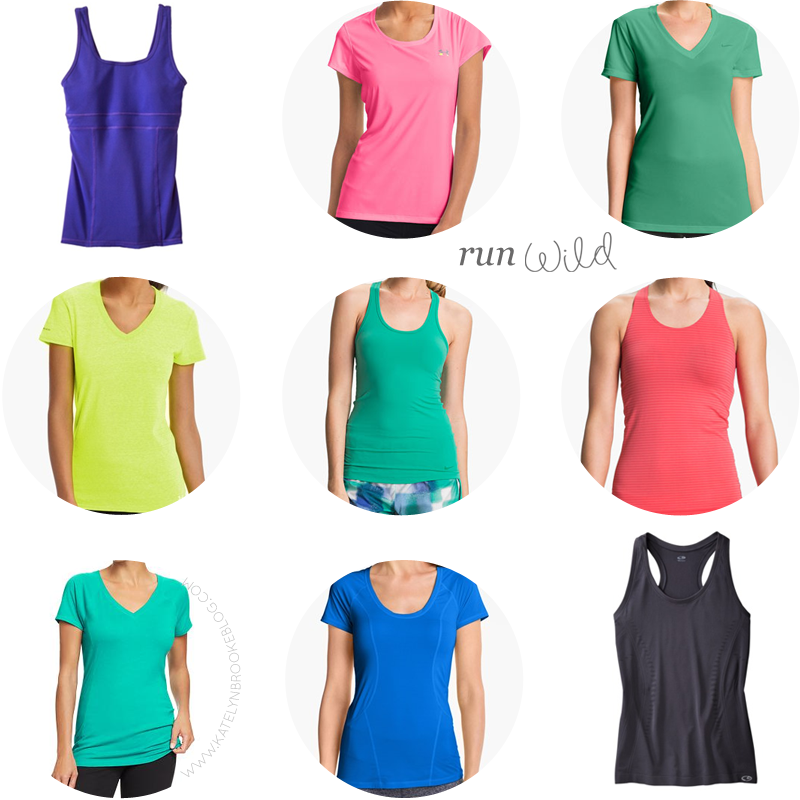 What’s your favorite place to buy tops for working out, preferably that doesn’t break the bank? I either wear an old race shirt or head to the outlet mall to check out the sales. I’d rather save my money for running shoes and socks! That’s a good idea- there’s an outlet mall close by when we go home, I’ll have to hit it up! Ooh I like that idea! I’ll have to go check it out :) Thanks Morgan! Forever 21 actually has a pretty decent selection of workout clothes. I’ve had some things for a couple of years and they’re holding up fairly well so far. but I’m not a runner, so I don’t know if the stress being placed on your clothing varies much by workout. I also really like the pieces I’ve bought at Target – if you’re really savvy about it, every so often you can find coupons for their C9 line. I’ve never looked at F21- I’ll have to check that out! Target is always the first place I look, my favorite sports bras, yoga pants, and shorts come from there, but I’ve never had much luck in the tank top department. I love the Old Navy active tees and the GapFit tees. The GapFit are a bit more pricey, though you can sometimes find them on sale. The Old Navy ones regularly go on sale for $5-$8.